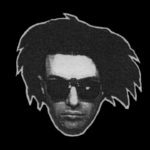 Original art 4 sale! 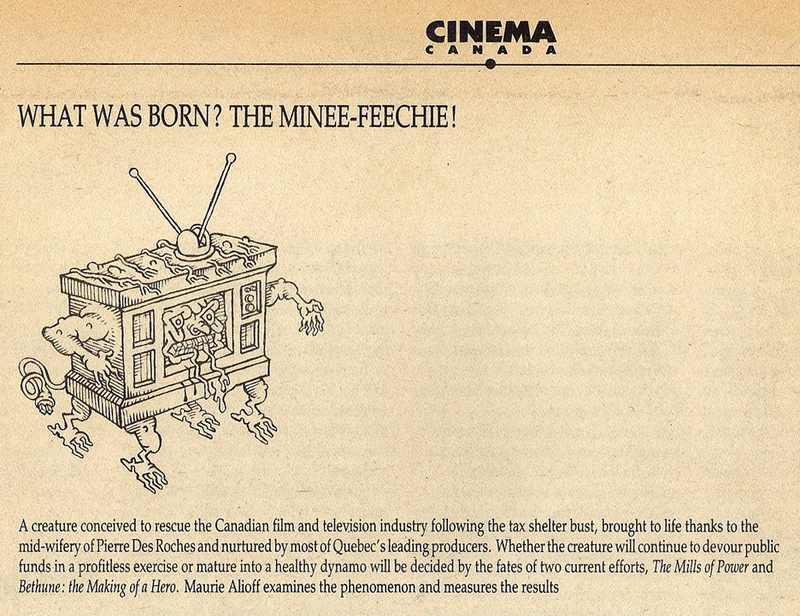 Front cover I did for Canadian trade magazine about the film & TV industry CINEMA CANADA # 155 illustrating an article about the “Minee-Feechie;” described in the table of contents as “a creature conceived to rescue the Canadian film & television industry following the tax shelter bust,” & accompanied by another illustration of mine (also pictured below)! 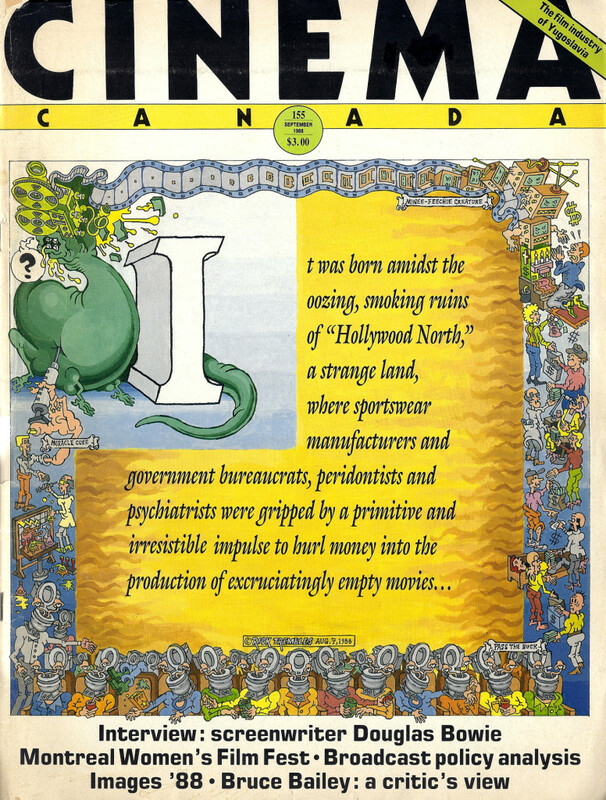 “It was born amidst the oozing, smoking ruins of ‘Hollywood North,’ a strange land, where sportswear manufacturers & gov’t bureaucrats, peridontists & psychiatrists were gripped by a primitive & irresistible impulse to hurl money into the production of excruciatingly empty movies,” screams the cover! It’s intricately detailed, so you’ll have to click on the larger image to see it, but I decided to paint the dinosaur that was the film industry getting a miracle cure injected by said professionals all pumping money into a Videodrome-inspired TV set with their perceived audience wearing toilet bowls for heads! I donated the original acrylic painting to some social cause art auction back in the 80’s, but I still have the original approximately 6 X 6 inch preliminary pencil art of the “Minee-Feechie” TV from the table of contents & the 15 X 15 pencils for the front cover. You can have both for 75 bucks (postage included) along with a color tear-sheet of the printed cover. More deets below or contact me for info. (To see image full-sized, click on it to open in a new window & use the magnify function).